Boot Camp 103 – How Did Jesus Preach the Gospel? If you have ever taken an evangelism course, you most likely would have memorized a few lines to use when witnessing. 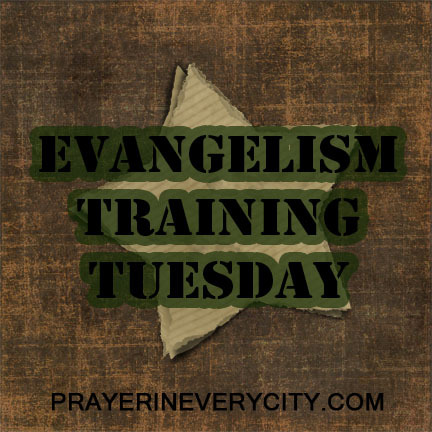 For example, I have taken the evangelism training course called, FAITH Evangelism by Lifeway. We were given some Bible verses to memorize and some questions to ask. One of the questions was, “In your personal opinion, what does it take for a person to get to heaven?” or something like that. How did Jesus and the Disciples Witness? I am not criticizing any of these methods, because I have asked this question many times and will continue to ask it. But is this how Jesus and the disciples witnessed? Did they go through the same dialogue every time they witnessed? When studying the Gospels and the book of Acts, you find that they followed certain patterns, but it was not the same canned speech every time. During Boot Camp, I want us to study some of these witnessing situations to learn how to share our faith biblically. Last week we looked at “How John the Baptist Preached the Gospel”, so let’s look at how Jesus witnessed to the Rich Young Ruler today. The young man approached Jesus in verse 16. He asked Jesus what good things he could do to obtain eternal life. Jesus told him that in order to enter into life, he must keep the commandments. This might seem like an unlikely response from Jesus, because salvation is by grace and not by works. We are not saved by keeping the commandments. What Jesus is actually doing, is using the 10 Commandments as a way to convict of sin. In order to be saved, one must repent of his/her sins. By taking this young man through the commandments, Jesus is considering the mans willingness to repent. In verses 18-19, Jesus asks him several specific commandments. The young man responds by saying he has kept all these commandments. Jesus, then tells him to sell all his possessions and give to the poor, but the man was not willing to do this. In verse 22 we are told the young man went away grieving. Why didn’t Jesus just tell the young man to pray the sinner’s prayer? Most of us have been led to believe that as long as you say the sinner’s prayer, you have salvation. How many times do we send someone away who asks to be saved? I hate to admit this, but modern evangelism doesn’t send people away. We tell people to repeat a prayer for salvation. Where is the sinner’s prayer in the Bible? How many people prayed this prayer in the Bible for salvation? Salvation doesn’t occur because we repeat a prayer. Salvation occurs when a person repents (or turns away from his/her sin) and believes that Jesus died for their sins, was buried and arose. The young man couldn’t be saved because he failed to repent. How many people in America have said the sinner’s prayer, but failed to repent? We don’t have an answer to that question, but we wonder why 70 percent of our youth leave the church after they graduate. Jesus said, ” My sheep hear My voice, and I know them, and they follow Me“ John 10:27 (NKJV). James the brother of Jesus said, ” They went out from us, but they were not of us; for if they had been of us, they would have continued with us; but they went out that they might be made manifest, that none of them were of us” 1 John 2:19 (NKJV). Born again believers do not leave the church in mass like we are seeing our young people do today. I believe that we have created false converts from our poor methods of evangelism. We have an epidemic on our hands, with no one to blame but ourselves. We must learn how to present the gospel biblically. It is time to give up our man-made traditions of evangelism. We must witness like Jesus and John the Baptist did by using the law to bring about conviction of sin. We also need to quit herding in the lost like cattle. I cringe when I hear pastors tell a room full of children, bow your heads and repeat this prayer after me. Especially when dealing with children, we need to counsel each one of them to make sure they know what they are doing. It is very easy to create false converts, who are on the road to hell, but now are blinded by a false sense of security. Why am I so concerned about this? I was a false convert. I said a sinners prayer during Vacation Bible School at the age of 5 and was baptized. I thought I knew what I was doing, but at the age of 16 fell under deep conviction of sin. The Holy Spirit let me know that I was not saved at 5 and needed salvation. Thank the Lord, I realized this while I was sitting in Sunday School. What about those false converts who no longer attend church? Will they ever realize they are lost? This is a summary of this week and last week’s lesson. Every week we will add to this as we study other gospel sermons in the New Testament. If we are to witness like Jesus and John the Baptist we will . . .